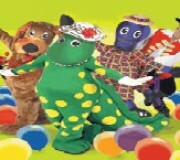 Dorothy the Dinosaur and her friends are now available for large scale corporate events and festivals in the ever-popular Dorothy the DinosaurI’s Dance Party! After the success of their national tour over the last two years, these iconic characters are available to book for large-scale events and festivals with this exciting new show full of spectacular music and dancing. 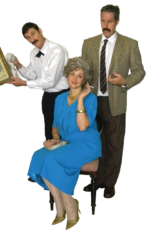 This interactive, 50 minute show provides children and their carers with a sensational theatrical experience with these characters, hugely popular in Australia and around the world. Starring Dorothy the Dinosaur, Wags the Dog, Henry the Octopus and Captain Feathersword, children of all ages will love singing and dancing along with their favourite characters throughout this action-packed show. Dorothy the DinosaurI’s Dance Party is full of all of your favourite songs including Fruit Salad, Rock-a-Bye Your Bear, Go Captain Feathersword, Ahoy, Romp Bomp A Stomp, Hot Potato and many, many more!